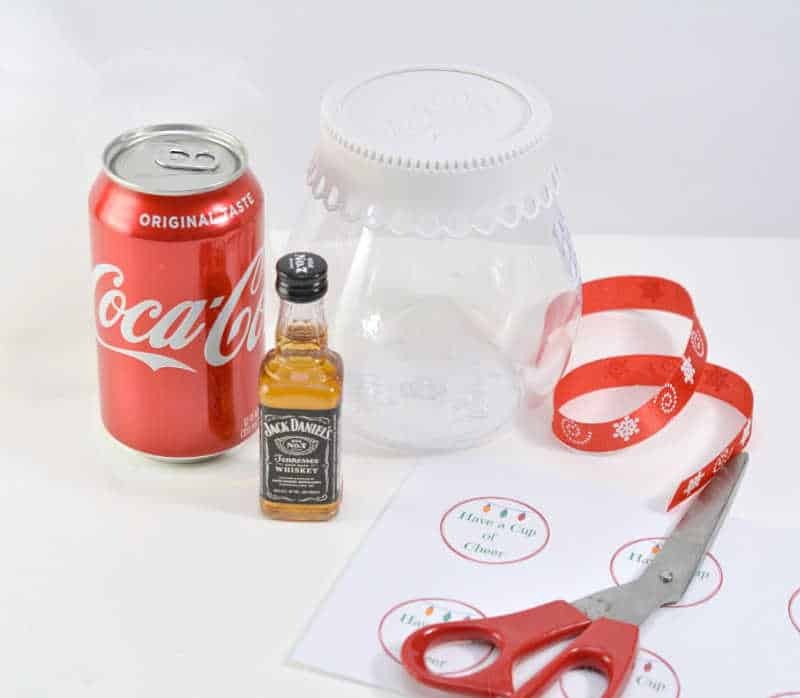 Make a quick and easy mason jar cocktail kit with a mason jar, a can of soda pop and your recipient's favorite hard liquor. This is a great gift for a white elephant, friends, teachers or anyone who needs to relax. 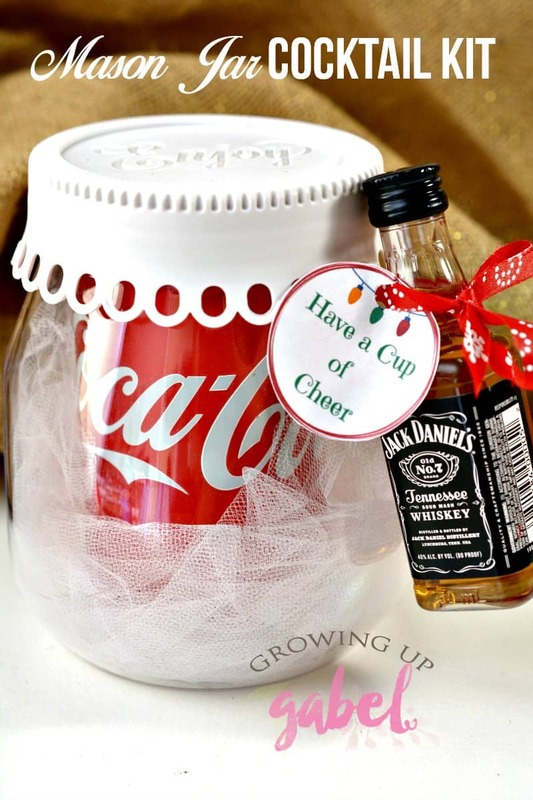 Making a homemade gift does not have to be hard. In fact there isn't much “homemade” about these adorable mason jar cocktails kits except you have to go buy all the supplies and put them together yourself. Sometimes it really is the thought that counts. If you want something a little more kid friendly to give or make, check out our Melted Snowman Hot Chocolate jars. People go crazy for them! Or make a snowman jar and attach a little bottle of Irish cream (you can even make that one yourself with our Homemade Irish Cream). To make the kit, begin by placing a piece of white tulle or tissue paper into the bottom of a wide-mouthed jar. 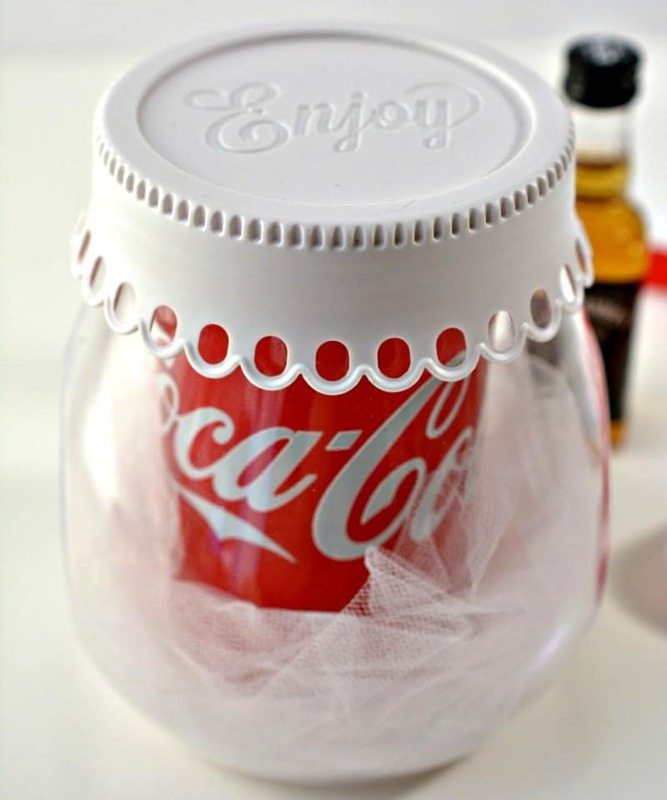 Put a can of Coca Cola (or your preferred soda) into the middle of the jar, and arrange the tulle or tissue paper around it. Place the lid onto the jar. Let's talk about that lid. It's pretty! The jar with that lid was purchased at Dollar General, but we haven't been able to locate more of them. This is why we always buy multiples, people. You can always just use the included top. But we love the tops with straw holes in them. That way your recipient can make their cocktail right in the jar and sip. 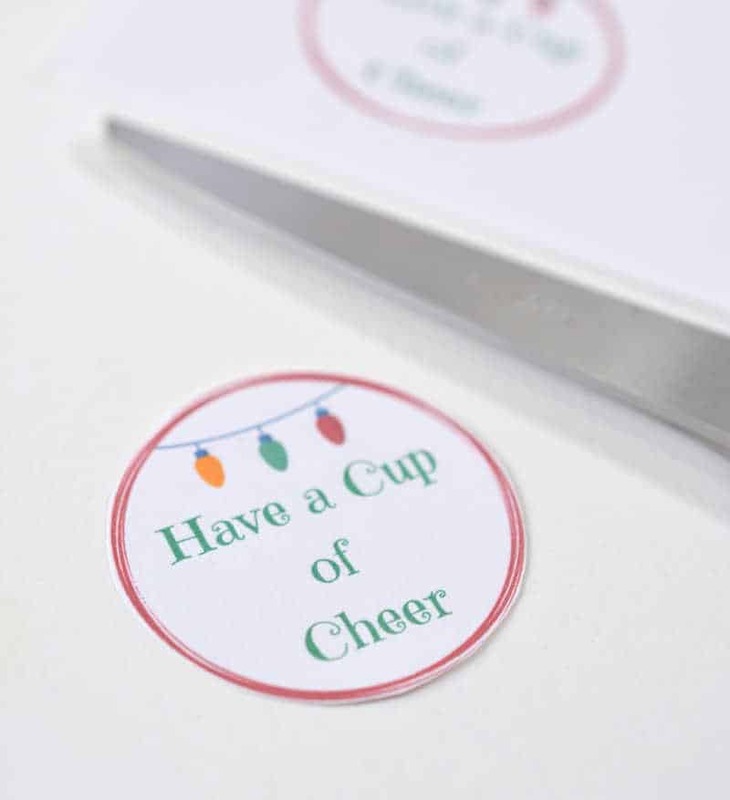 Gather up the gift tags you already cut out. 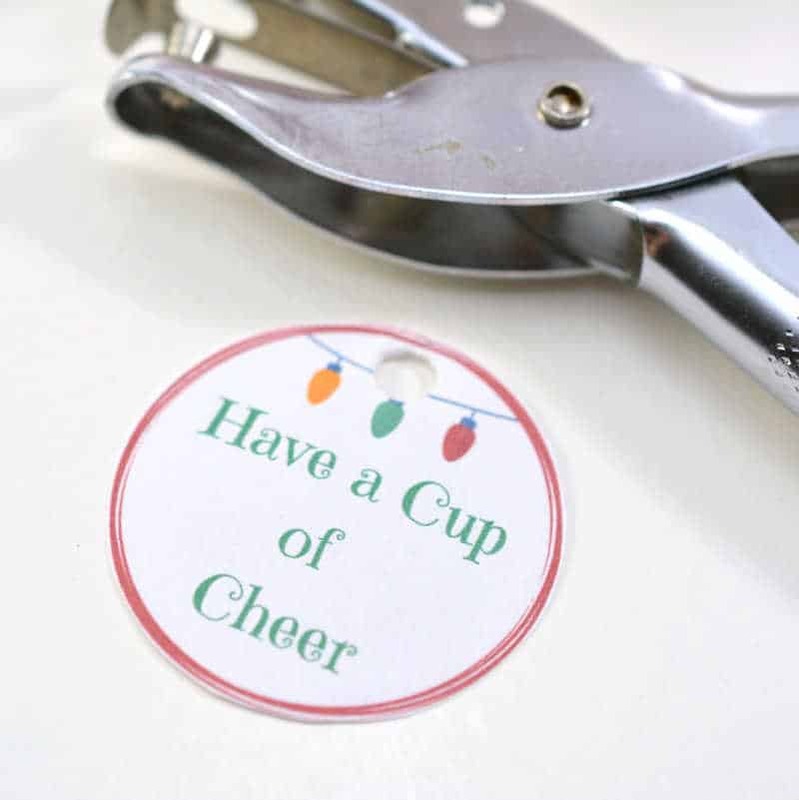 Use a single hole punch to punch a hole into the top of each gift tag. Cut a piece of ribbon or string that is long enough to tie around the top of the jar plus a bit more to tie it. Thread it through the gift tag. 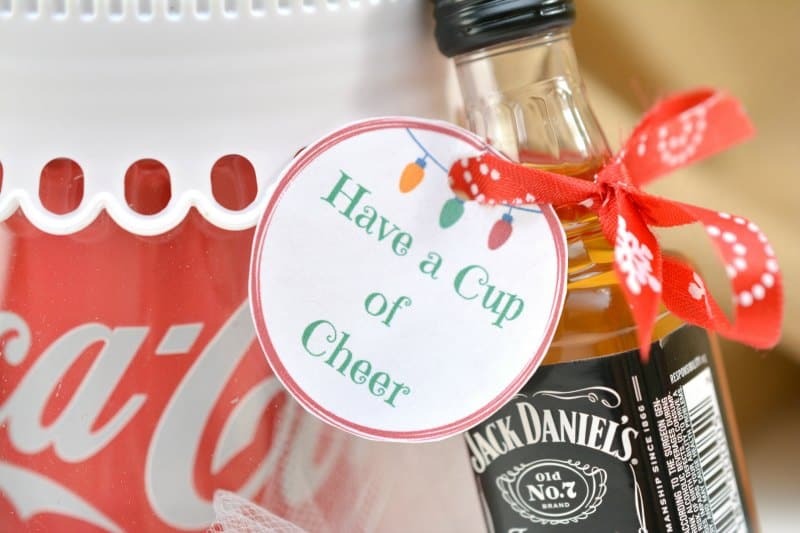 Tie a small bottle of Jack Daniels Whiskey (or your preferred alcohol) onto the lid of the jar with the ribbon or string. 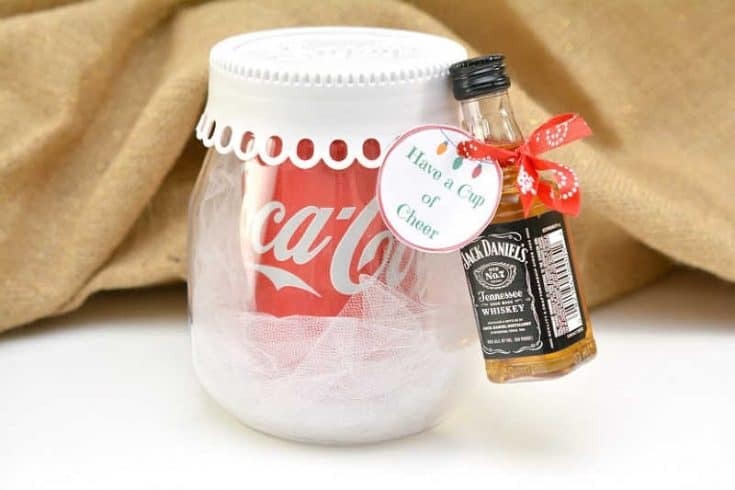 If you are making a lot of these or can not find a small bottle of Jack Daniels, grab some small empty bottles and fill from a larger bottle. You could also use rum instead of whiskey. 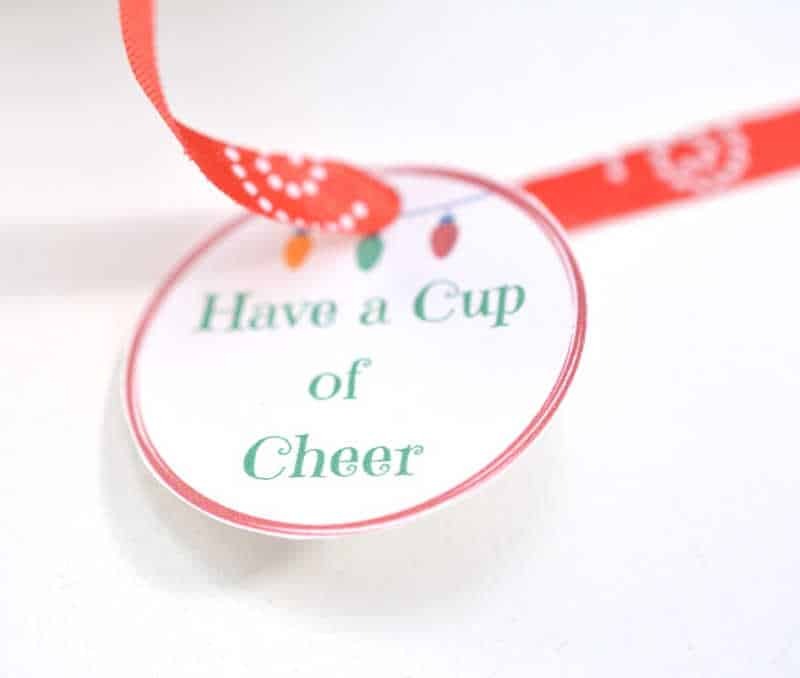 Cut out the “Have a Cup of Cheer” printable gift tag. 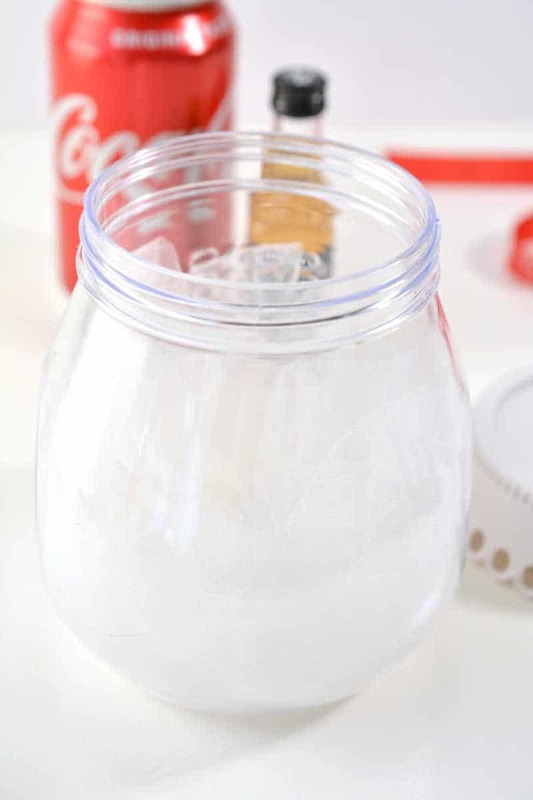 Place a piece of white tulle or tissue paper into the bottom of a wide-mouthed jar. 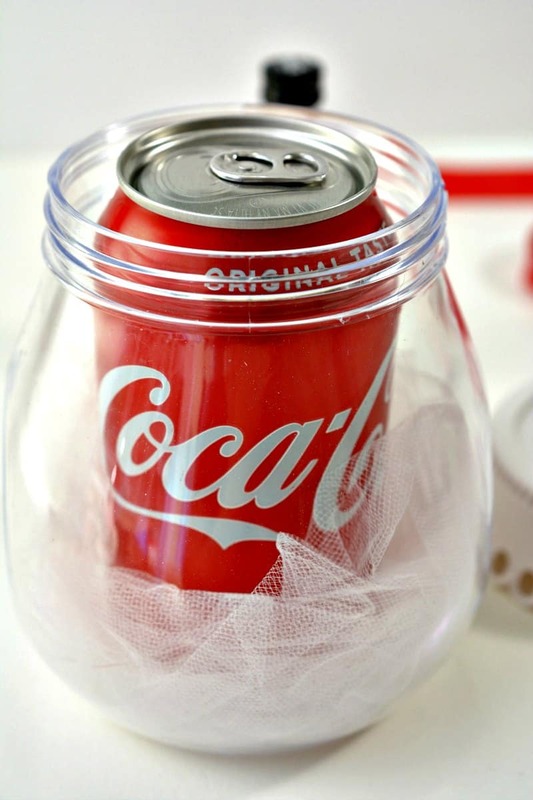 Put a can of Coca Cola into the middle of the jar, and arrange the tulle or tissue paper around it. Punch a hole into the top of the gift tag. Cut a piece of ribbon or string, and thread it through the gift tag. 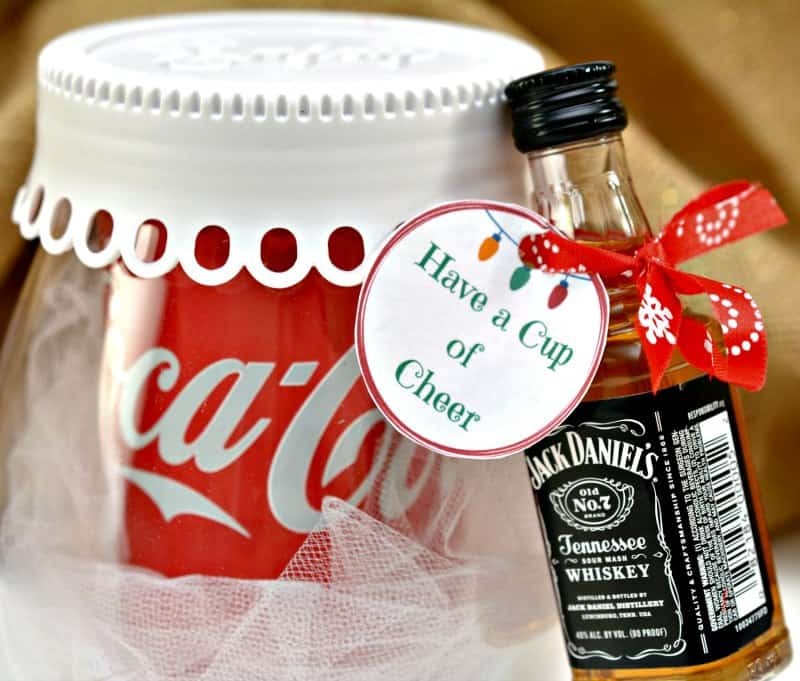 Tie a small bottle of Jack Daniels Whiskey onto the lid of the jar with the ribbon or string.